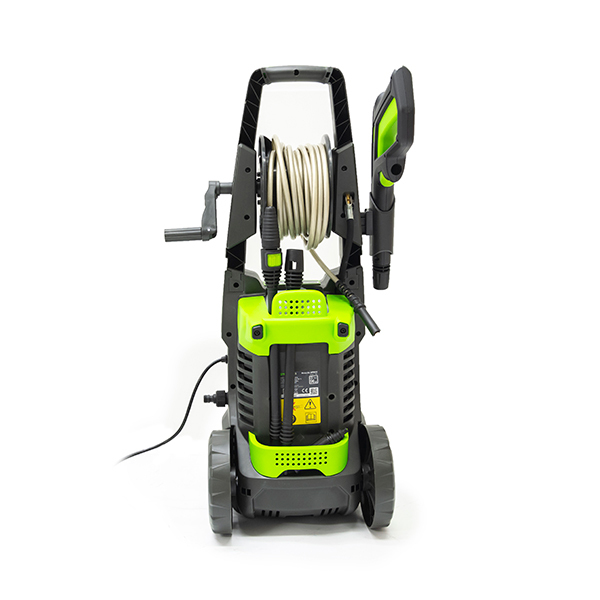 Tackle all of those outdoor cleaning tasks with this Greenworks pressure washer, delivering up to 140 bar of pressure for truly powerful cleaning all around the home. This is the perfect piece of kit, whether you're looking to gently clean delicate paintwork on your car, or to remove stubborn and ground in dirt from an old wall, the variable pressure spray nozzle makes it easy to adjust (simply twist the end) the pressure depending on your surface. This Pressure washer also comes with a turbo nozzle. The motor is housed within a durable body with large wheels to make it easier to move around, with the cables, hose and accessories all stored neatly on board. The 8 metre high pressure hose provided gives you that extra reach and freedom around your work area, vehicle or garden obstacles. 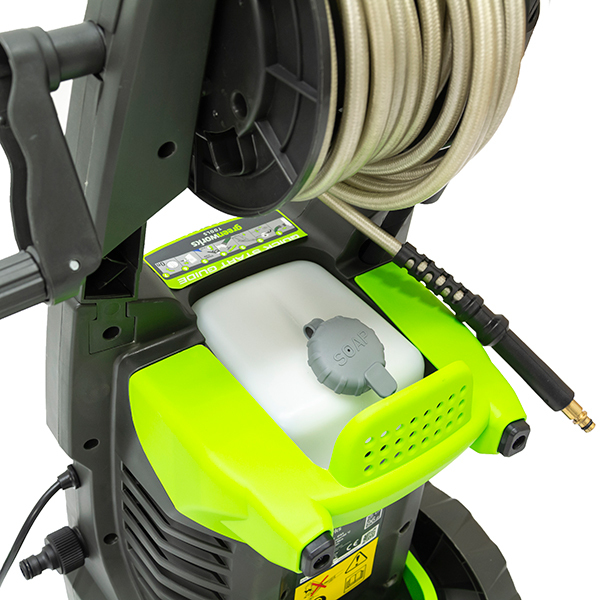 The high pressure hose can be stored away using the built in hose reel which helps to prevent kinking and deterioration over time. 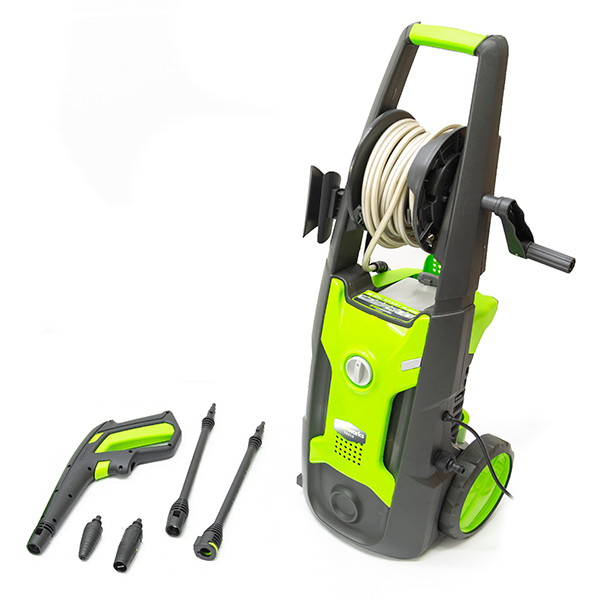 The G5 Pressure Washer comes with a trigger gun, variable power nozzle and turbo nozzle that delivers outstanding cleaning performance using concentrated rotating pressure; this model also includes a built in detergent tank for mess-free cleaning. 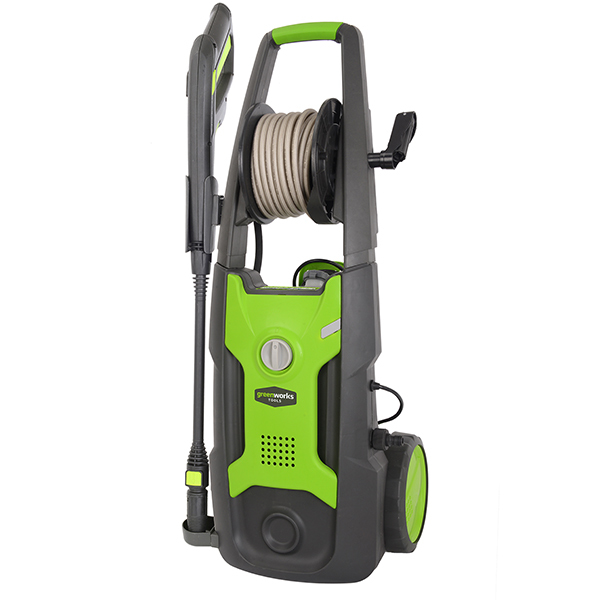 An automatic stop/start motor ensures the water isn't continuously flowing during your cleaning application. A built-in inlet filter prevents debris entering and damaging the pump and the thermal protection increases the machines life span.